Forgiveness and gratitude are positive psychological characteristics that are connected to well-being. This study examined these connections in an understudied population of psychotherapy outpatients and examined the extent to which affect and beliefs mediated these relationships. Participants were 72 outpatients who completed a battery of assessments as part of a standard intake protocol. Results showed that forgiveness and gratitude were both positively and strongly associated with well-being and largely, though not completely, mediated by affect and belief. 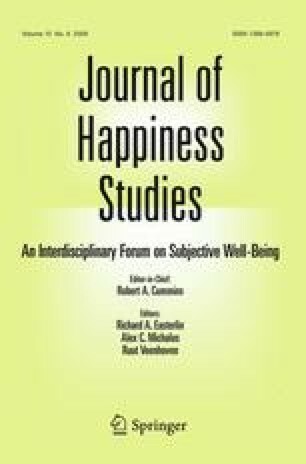 Forgiveness and gratitude may have an important place in the positive psychologist’s repertoire of well-being enhancing techniques and exercises in general, and may be particularly powerful with a clinical psychotherapy population. Portions of this study have been presented at the 3rd (2005) and 4th (2006) Annual Mid-Year Conference on Religion and Spirituality.